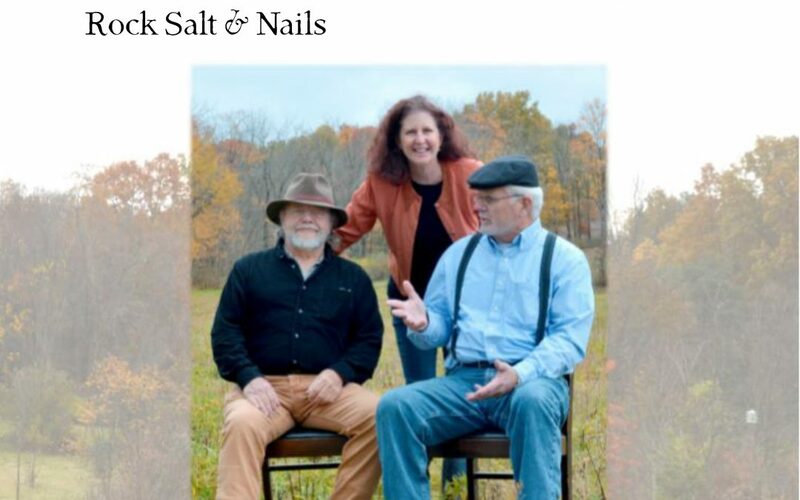 Local folk and acoustic band, Rock Salt and Nails, will hold a CD release concert for their latest CD, Time Stands Still. The event will be Saturday January 26 at Jupiter Studios, downtown Alliance. 7:00. There will be cover change of $5. Jim Dutter of Louisville, Keith McMahon of Homeworth and Priscilla Roggenkamp of Alliance perform original and cover tunes from their new CD. The CD was recorded by David Mayfield of Sweetside Recordings in Canton. Local photographer, Patty Rickard, took the CD’s photographs. Graphic design was created by Carter’s Copies in Alliance. CDs and digital downloads will be available that evening, through Facebook or through the band’s website, www.rsn-band.com. Jupiter Studios is under the new management of Chrystal Robinson-Shofroth. Food and drinks are available. The band strives to support local businesses and encourages the community to join them.